Practical project management skills are essential for everybody who interacts with projects in any way. This course is perfect for anyone who wants to gain a strong understanding of, and confidence with the fundamentals of project management. This intensive, 3-day workshop is suitable for all experience levels. We cover the complete life-cycle of a project, from initiation and planning right through execution to closing a project. We also provide the option to progress to certification for those who wish to do so. 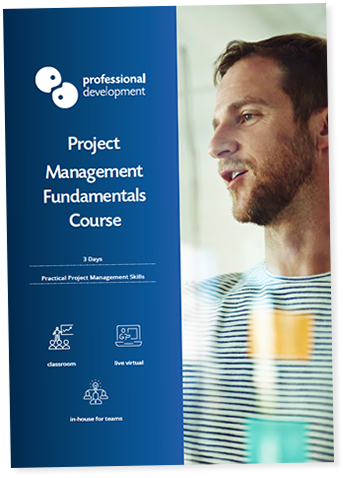 The syllabus for this course was designed to equip participants with everything they need to hold a confident understanding of best practice project management principles. We focus on a practical style of learning, contributing to confidence in your abilities to implement your new project management skills. Gain skills you can apply to projects of all sizes in any sector. Those who attend this Project Management Fundamentals course will be able to positively contribute to any project team. This workshop takes place over 3 consecutive days. Our course format means you won’t need to take extensive time out of your hectic schedule. You’ll be able to hit the ground running and put your new talents into action as soon as training is completed. Our project management trainers have a wealth of experience leading and contributing to projects of all sizes and kinds. Throughout the workshop, they will provide you with guidance and tips for getting the best results from your project work. 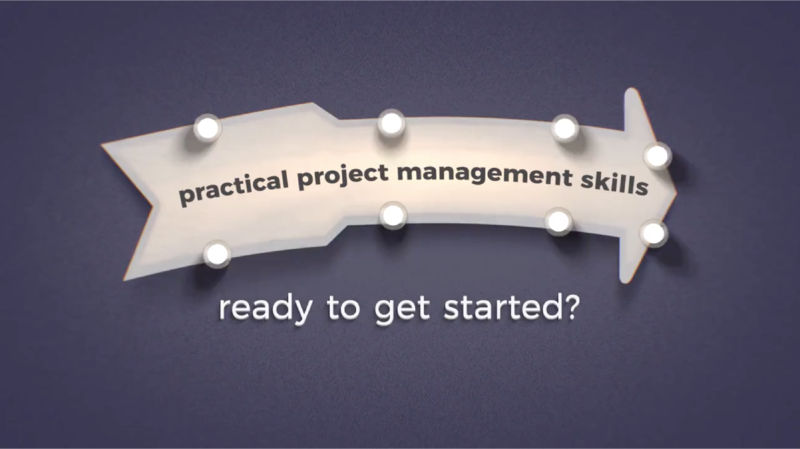 This course runs in tandem with our Certified Project Management Course. Those who wish to progress to certification, can extend the course by 1 extra day. This day is devoted to preparing delegates for the assessment work required to achieve certification. What is covered in this Project Management Fundamentals Course? Who Attends This Project Management Course? We recommend this course for anyone who wants to become confident with the principles and practice of effective project management. Those who would like to become project managers. Those who have recently begun working as a project manager, or as part of a project team. Business owners and directors who want to understand the principles of good project management. Experienced project managers seeking to refresh their skills and gain new ideas and approaches. If you would like some guidance on whether this is the right choice for your project management career, why not call us on Freephone 1800 810 910 or click below to Ask A Quick Question? We run this course alongside our 4-day Certified Project Management Course. Anyone attending the 3-day Project Management Fundamentals Course has the option to extend their training to include the 4th day of certification preparation. The certification offered with this training is a QQI Level 6 in Project Management (course code: 6N4090). To achieve this certification, you will need to attend an additional day of training immediately after the 3-day workshop, and complete the required assessment work successfully. Participants must complete a Project Portfolio of Work (70%) and a Written Assignment (30%) in the 8 weeks that follow training. We provide guidance and a detailed assessment brief for anyone undertaking the QQI Assessment.